Hi, I'm Antonis, your Destination Expert. The choices below are based on the trip you selected, feel free to customize them according to your preferences. Select the regions of Greece you would like to visit. Your preferences are pre-selected based on the trip you’ve chosen. Feel free to change them! 2. What experiences are you looking for in Greece? Yes, Antonis can send me a non-binding offer. 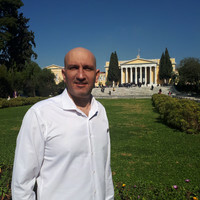 "Antonis was very prompt to answer any questions that we had before the trip and during our stay in Greece. All the arrangements were made keeping in mind our requests and interests. We came back very happy and would gladly recommend him."